The Volkswagen Golf is an MQB car, but so is the 265 hp all-wheel drive Audi TTS. Volkswagen always knew how to stretch a platform to its limits. 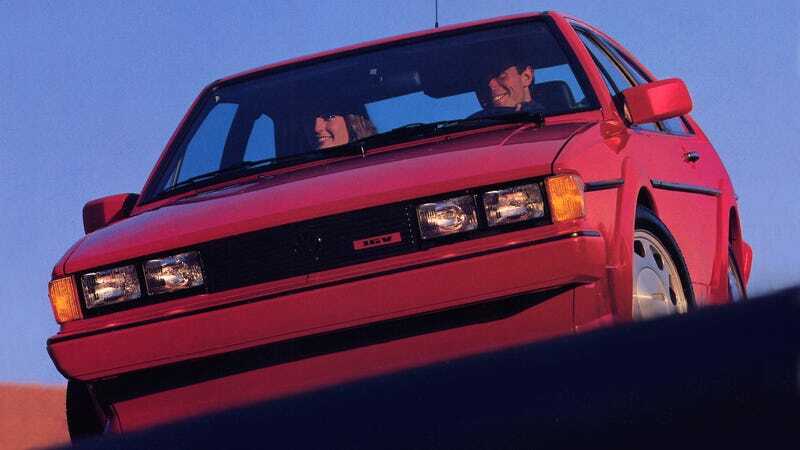 While the Scirocco has been awesome since 1974, it’s the second generation from the eighties that everybody remembers and the car that also got Road & Track’s Senior Editor Jason Cammisa hooked forever. Instead of Giorgio Giugiaro, it was designed in-house at VW by Herbert Schäfer, but production remained in Karmann’s hands. It sort of looked like an Audi Quattro, but came only with front-wheel drive and up to 139 hp with the 16-valve 1.8 engine. Is it the best handling front-wheel drive car ever made? Probably not. But it feels like a car should. Is it the coolest Volkswagen you can daily drive? Definitely. It’s stylish, it’s modern and fast enough, so it’s awesome. These things are getting rare even in Europe, so grab yours while you can.